G Vusion 2 Blogger Template is a stylish theme that makes your blog wonderful and appealing with professional design. There are two column layouts to display your content and tabbed sidebar widget, where you can add your popular, recent and most recent comments or you can add different social sharing buttons. G vusion 2 is a clean, clean responsive Version 2. This theme has been created for this version for display, more SEO, more sensitive and more, two themes, which have many changes. It has following features: responsive, seo, mobile friendly, personal blog, custom-threaded comment, 2 columns, easy flat design and more. 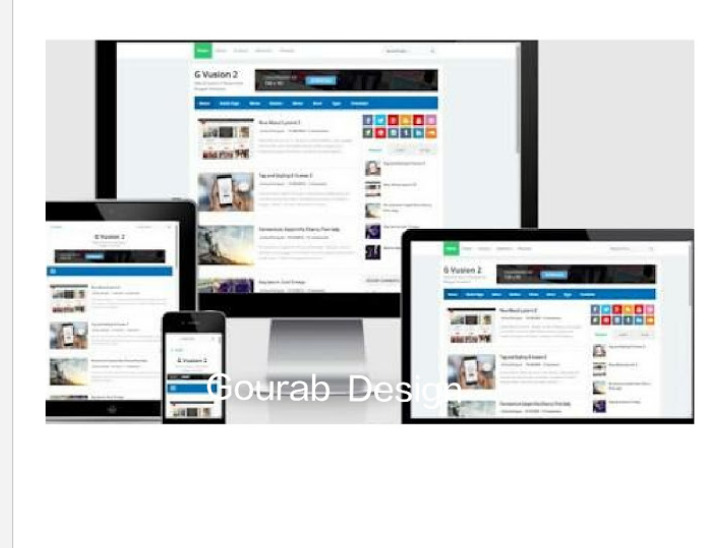 New G vusion 2 The responsive design is simple, clean, SEO optimized and user-friendly. Visitors will have pages of pages in your blog that are convenient and easily. If you want the taste of this magazine (magazine style), that is equipped with side widget (magazine style) static and responsive navigation menus, related posts, social share, search box, social media icon, tabbar tab menu, and two widget columns on front page. So we are going here, now I am going to give you your wish, request and according to is completely free, you can edit this model for your blogger and according to your designer choice. You have some basic knowledge about HTML and CSS. You can download for your blog with the button below.